The vice-president of the Chamber of Commerce and Industry of the Russian Federation, Georgi Petrov, noted at the AfroCom's annual executive meeting held in April 2015 that "in view of the current geopolitical situation in the world and the economic situation in Russia Russian businesses have to look for new markets. In this regard, of particular interest is the African continent, which today is one of the fastest growing regions in the world with an annual GDP growth - 5%. In addition, opportunities for projects in Africa are opened with the accession of South Africa to the BRICS bloc." Brazil, Russia, India and China are members of BRICS. Without doubts, Russia's strategic return to Africa has sparked academic discussions at various levels where academic researchers openly admitted that political consultations are on track, arms exports has significantly increased, but other export products are extremely low. Russia's involvement in infrastructure development has also been low for the past decades on the continent. *Kester Kenn Klomegah is a research writer and a policy consultant on African affairs in the Russian Federation and Eurasian Union. 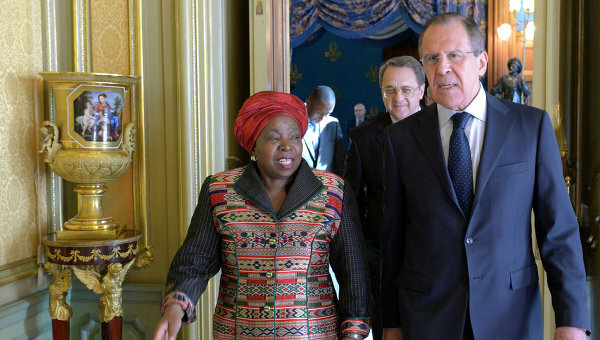 He has won media awards for highlighting Russia’s economic diplomacy with African countries in the region.